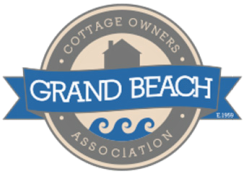 Reporting to the president (or designate board member) of the Grand Beach Cottage Owners Association, the club supervisors (minimum 18 years old) will be responsible for the programming, administration, maintenance and overall management of the community club during the months of July and August. Some pre-preparation work will be required during the last two weeks of June (60-80 hours), as well as some final closing time into the month of September (60 hours). Successful applicants must be available for the pre and post preparation dates. Those with experience in recreational programming supervision and/or enrolled in Education, Early Childhood Education, Recreation Studies, Educational Assistant, or Kinesiology and Applied Health are encouraged to apply. Certification in First Aid/CPR/AED, Food Handling, Serving it Safe, Coaching, Swimming or other related certifications are an asset. and interest working with children. Pay will be discussed at the time of interview.